I love applying kajal or kohl to my eyes and accentuate their beauty. A good kajal is a must have for all ladies because it brings out the beauty of our expressive eyes. But finding a safe and appealing Kajal which is also value-for-money is tough today with so many brands launching their own Kajal products in the market. 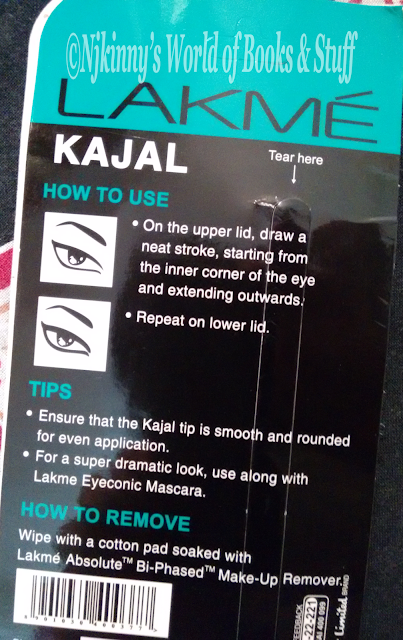 Today, I will share my review of Lakme Eyeconic Kajal (Black) with you. I have to confess that I have been a big fan of Maybelline Colossal Kajal for ages. But recently when a friend strongly recommended Lakme Eyeconic Kajal to me. I just had to buy it and try it out for myself. 1) The texture is smooth and applying it is easy. It slides smoothly to give a uniformed effect to the eyes. 3) The stick is sturdy and doesn't break easily. Also the rounded tip of the kajal gives a smooth finish. 4) After applying the Kajal, I noticed that it stayed on for more than 8 hours and didn't smudge. 5) The Kajal is not dry and crooked. It is creamy, smooth and adequately moist so it doesn't make the application on the eyes look uneven and patchy but leaves an even and uniform effect. 6) This kajal doesn't harm the eyes and I didn't experience any redness, itching or watering of the eyes when I used it. 1) The black shade of the kajal could have been richer. It is a lighter black shade but not grey. I have used kajals giving a darker black look than this one before. 2) It does smudge easily if we inadvertently rub it even if it is done lightly. However, we don't touch our eyes it does stay on for hours. 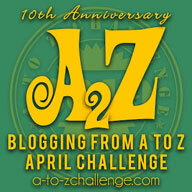 3) It is costly and in my opinion, not value for this much money. All in all, Lakme Eyeconic Kajal (Black) is good but has potential to be better. It is definitely not the best kajal in the market and also not the cheapest but still not bad either. I give it 3.5 out of 5. - Always remove your eye makeup before you go to sleep so that your eyes stay beautiful, healthy and shining. -To remove the kajal safely and not harm your eyes, always use a branded makeup remover.